Entrepreneurial Leaders Organization - Afternoon Speaker: Giulio Lorefice Gabeli - “Making A Stand"
Pastor Gabeli led the coalition of churches that hosted the Franklin Graham “Festival of Hope” in 2017. Franklin Graham’s visit generated controversy both within and outside Christian circles. Pastor Gabeli dealt with media inquiries criticizing the event, other Christian groups withdrawing support, and yet persisting in pushing forward with the event. From this experience and others in leadership in cross-denominational and denominational circles, Pastor Gabeli has learned valuable lessons on how Christians can make a stand in the public square. These lessons will be of interest whether you are working on your own or as part of a group. What can you expect? How can you deal with it? Is it worth the fight? 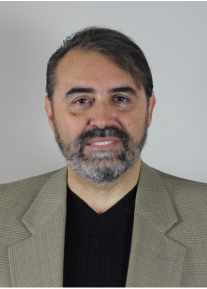 Giulio Lorefice Gabeli is the Senior Pastor of Westwood Community Church, in Coquitlam BC, Canada, a multi-cultural congregation with a number of ethnic satellite works. Rev. Gabeli also serves as the President of the Association of Christian Ministries of Greater Vancouver, the Executive Director of Hope Vancouver and the Chair of the Voices Together City wide Unity event on Canada Day. Pastor Gabeli is the author of the book “Grafted In: A Jewish-Christian Perspective (Word Alive, 2015) which examines the Jewish roots of the Christian faith. Reverend Giulio Lorefice Gabeli is the National Director of Canada Celebrates Israel Network of Christians and Jews and the Canadian Liaison of the Knesset Christian Allies Caucus, which is dedicated to promoting friendship and cooperation with political governments, as well as facilitating dialogue between Christian & Jewish organizations with the State of Israel.